Will Fenugreek Seeds Increase Milk Supply? It’s probably the most respectable title you’ll ever have: ‘Parent’. But it won’t feel glamorous or remarkable every day. That bundle of joy in your arms comes with many challenges. So here’s one huge benefit of living in the 21st century: Technology can make a lot of things easier so embrace it. Your child’s feeding times are some of the most important parts of the day. It keeps them healthy but can also help you find a routine faster. But that only happens if you get everything done in time. So let one of the best bottle warmers 2018 has to offer help you cope a little better. Below we reviewed some impressive ones. Why Do You Need a Bottle Warmer? How Do You Know Which One is Best? You’ve probably heard parents purchase many unnecessary items while they prepare for the baby’s coming. Believe me, a bottle warmer doesn’t fall in to this category. Bottle warmers—and some that are effective to warm up food too—make feeding times easier so you can focus on other important tasks. And since the milk’s temperature is vital you can’t get this wrong. You don’t want to burn your child’s delicate tongue or offer too cold liquids. He or she may refuse to drink it which ruins your routine and leaves the baby hungry. So let’s help you pick a good one. If you really want effortless feeding times don’t simply pick the first bottle warmer you find on a store shelf. Technological developments have empowered manufacturers to add handy features that are definitely worth the investment. Now you can find one that makes sense in your context and will suit your lifestyle. Here’s an example: If you’re fond of traveling you must get a warmer that will work in the car and may not even need electricity. 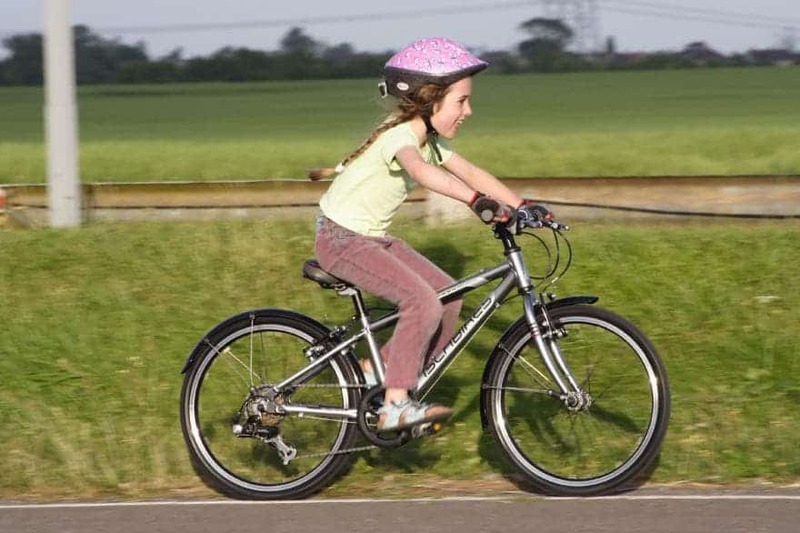 This enables you to carry one with your usual hobbies even after Baby has arrived. See? It’s worth doing some research. You may not be aware of all the functions these machines have. Let me guide you through them. Above all it must be user friendly. 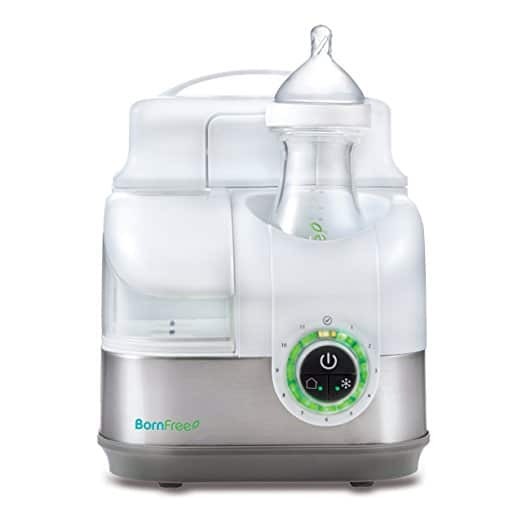 When your baby is screaming for milk you don’t want to be frustrated with complicated procedures, too small buttons or the need to measure liquids to the last drop. You’ll be holding your baby in your arms most of the times while using your bottle warmer. Is it safe to have around children and does it have guidelines in place that will prevent the milk over heating? You can’t serve scalding hot milk. And when you’re done making a bottle you know you need an easy clean up procedure. New parents don’t have the luxury of free time—or energy—to tend to messes and scrubbing. Make sure your bottle warmer complements your parenting instead of making it more difficult than before. Now let’s get shopping. 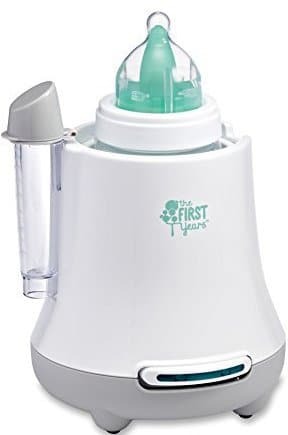 Why we like it: This is simply a superior product in terms of quality and the one touch feature is exactly what you need when your baby starts bawling for the next bottle. Parenting becomes easier when you have fewer things to concentrate on. 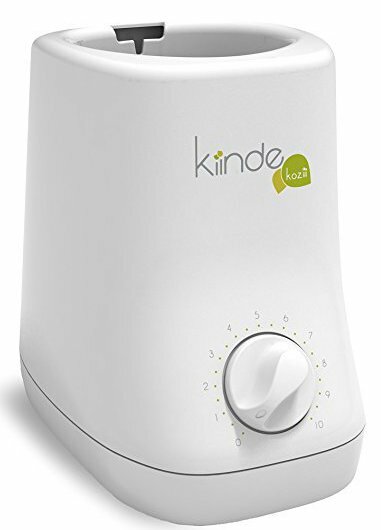 This bottle warmer does some of the management for you so you can change a diaper while the milk heats up. It will remember your preferred temperature so you don’t have to set it each time. It will give you both visual and audio alerts when the milk is ready so you don’t have to check on it throughout. How Quick Does it Work? For 5oz bottles a normal warm up will take around 3 minutes while frozen milk will heat up in 6. A 9oz bottle will take you just over 5 minutes. Note that formula milk often takes slightly longer than your breastmilk. The fewer things you have to do the better and with this bottle warmer you’ll be able to warm up quite a few bottles before it’s time to add water again. Operation is easy and clear because the LCD screen shows you detail and you only have a few buttons to press. There’s also a one touch feature so the press of a button can get the process going. This warmer’s basket accommodates a variety of bottle sizes so you don’t have to use the brand’s own. The exterior is smooth which makes for an easy wipe down. You can keep the reservoir hygienic with vinegar solution to counter mould build up. It has an auto shut down feature that kicks in after 8/10 minutes. This is a safety feature as well as a power saving factor. Why we like it: This brand keeps maintenance and effort low with the large reservoir installed. You can warm up quite a number of bottles before it’s time to fill it up again. In this warmer you can place almost anything your baby will consume in the next few years. The chamber is big enough to place bottles but can also take storage bags with frozen food, food jars (even glass) and liner bottles. 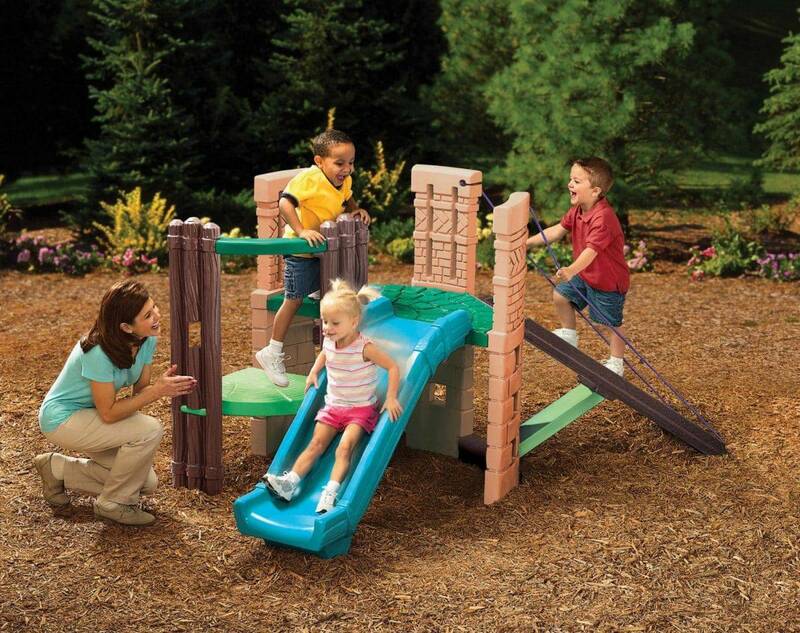 The unit is also made of quality materials so it can last you into your child’s toddler years. It’s also extremely safe to use around the house as it has a convective heating system instead of producing steam. This is not the most automated warmer on this list because you set the time yourself each time you need to heat food or liquids. But the fact that it can warm almost anything makes it an ultra convenient purchase. With this unit you determine how hot you want the bottle by setting the timeline with timer provided. This means you need to test it out and gauge how long an average bottle takes to warm up. From then on you simply set the timer, place the bottle in the warmer and then you can walk away. Unlike some warmers you don’t have to measure exact water amounts for each session. Water stays inside the reservoir and will be reused with each cycle. You can warm bottles, bags and even food jars in this. You need to descale the unit monthly as the water stays in the reservoir and can start to form scale or even mould. You can use vinegar, soap or bleach. If you don’t do this the warming components may malfunction. This model can’t overheat and it uses a low temperature warming process. It’s called SAFEHeat technology and this means the nutrients inside your baby’s food or milk won’t be destroyed as high heat can do. 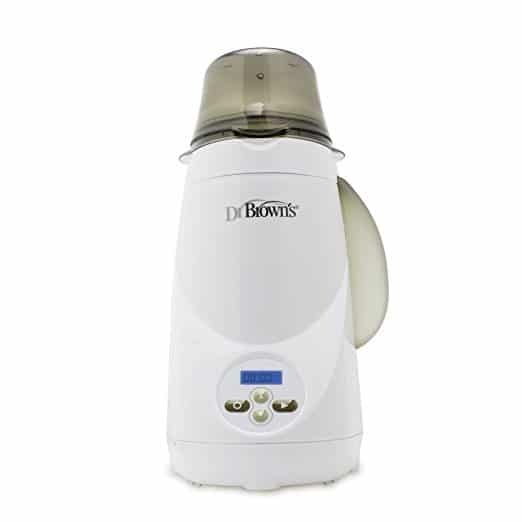 Why we like it: This is the best portable unit you’ll find on the market and it can warm up most bottles, bags and jars. Here’s a thermos design that’s perfectly adjusted for parenting on the go. You get a thermos flask that keeps water warm for several hours (it does!) and a reservoir in which you’ll pop the bottle to warm it up. This purchase is about convenience when you’re traveling. Despite you only using hot water this unit works surprisingly fast. The thermos keeps the water hot for a very long time so you can still warm up a bottle in under five minutes even four hours after leaving the house. You simply pour hot water into the thermos part and then pop it into the white container. When it’s feeding time you pour the water into the container and place the bottle inside. Beware that the container and bottle can be very hot to the touch so make sure you can place them down somewhere instead of holding them throughout the process. It’s designed for ‘Closer to Nature’ bottles so it should fit most of your bottles and even food jars. You simply need to keep the two units clean and there are no small parts so it’s super easy. Yes this is perhaps just a thermos but it’s perfectly designed to warm up bottles, bags, food jars and more so it’s a must have for traveling with your child. Why we like it: We love it when one purchase can help you with more than one challenge. 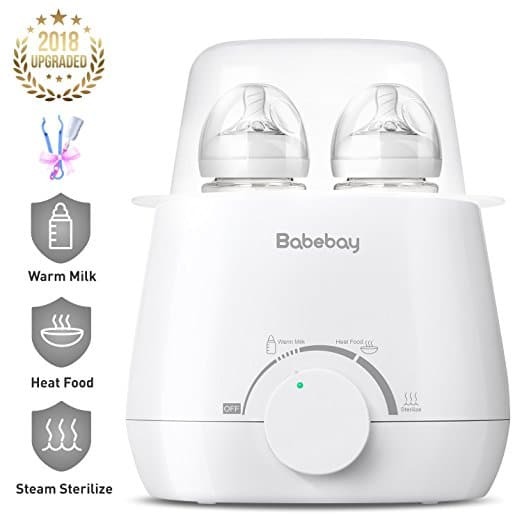 With this bottle warmer and sterilizer you can warm your bottles in minutes—which is amazing—but you can also use the heated water to sterilize pacifiers. A handy two-in-one design. This is a compact unit with quite a few features. Attached to the warmer you’ll find a measuring vial to measure water for each warm up and then pour it into the warmer. The unit can be used for almost any baby related container such as most bottles, jars and more. You simply have to match the amount of water with the size and type of content you want to heat up. The unit’s sleek design takes up little space and looks modern so it won’t ruin our kitchen or baby room aesthetics. You match the amount of water to what you need to warm up. Then you simply press the button and the machine heats up & the steam will heat the bottle. It can take 2-5 minutes depending on whether you’re heating up frozen, thawed or room temperature items. It does require some effort and time to coordinate the water amount with your need & this can bother some parents. One solution is to prefill the vial when you have a spare moment so you don’t have to do it in the middle of the night when you’re rushed or sleepy. The one touch button and auto shut off features are handy. It requires a power source and it can accommodate almost any bottle or jar. The components tend to get mouldy fast because of the heat. This requires daily cleaning. It has a basket so you can sterilize pacifiers in the boiling water. Why we like it: The key here is speed. For such an affordable price you’ll love how quickly it warms up bottles. Here’s another compact design that’s extraordinarily powerful. The Munchkin’s bottle warmer warms up quick because it’s designed to keep the heat inside and around the bottle instead of it escaping. It’s quite compact so it won’t take up too much counter space. There is a concern that some of the steam that does escape can condense on the top of your bottles. Be careful that you don’t burn when picking up the bottle. The time depends on how much and how cold the contents are. However you can have a warm bottle within as little as 90 seconds. The vial is clearly marked to show you how much water to pour in. Then you simply place the lifting basket inside as well as the bottle and press the orange button. It requires power from a wall outlet to work. It fits most bottles. A five minute cool down period is necessary between warm ups. You’ll see build up and residue from the water you use. This can easily be cleaned with soap or vinegar water. You can warm up smaller containers more effectively by using the adapter ring. This prevents steam from escaping around the sides. The trapped heat warms up bottles faster. Why we like it: The handy container at the back keeps milk cold. 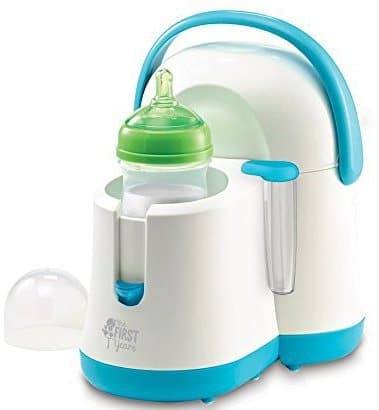 Place this in your baby’s room and you don’t even have to walk to the kitchen to make the next bottle. Here’s a complete solution to keep you from running to the kitchen all the time. Store bottles in the cooler and take them out to warm them up. Store all of this next to your bed or in the baby room and you’re ready for action. It’s larger than many other units on this review but its functionality warrants it. You can warm up 3oz room temperature milk in as little as 90 seconds, but the bottle size and temperature of the contents determine the timeline. You’ll be provided with a table with guidelines so you know how much water to put in and how long it will take. This takes away the necessity to walk to the kitchen at night. Remove the cooler from this gadget, fill it with bottles in the kitchen and then return the cooler to the unit. Also pre fill the basket with water so you’re ready for the first feeding. When your baby is hungry you place a bottle in the basket, switch on the unit and you’re ready to feed your child. It will shut off automatically when all the water turned to steam and escaped & the light will go off to tell you it’s ready. It uses power to warm up water. 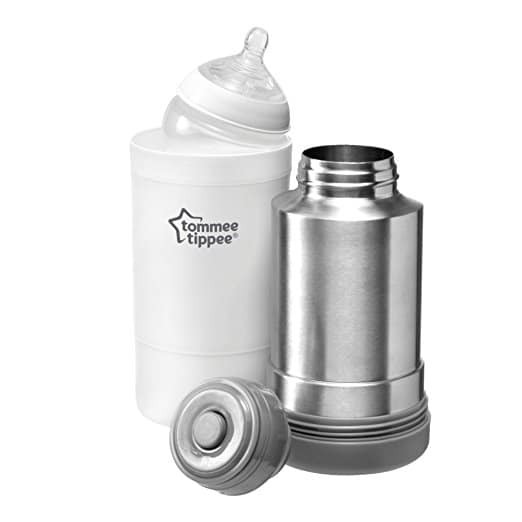 The cooler simply uses ice—water frozen in its removable container—to keep bottles cool for up to eight hours. Hard water can cause some residue. This can easily be cleaned with vinegar solution. 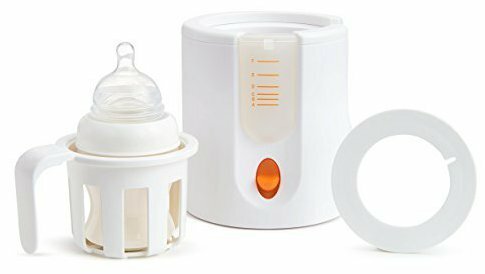 This is perfect for night time feedings as it even has a night light. Don’t switch on the room light and simply work by the light of the bottle warmer; now your baby won’t be overstimulated and he or she will go right back to sleep. It also has a basket insert to help effectively warm food jars. Why we like it: Here’s one of the only units on the market that caters for twins! You can warm two bottles at a time and it’s practical if you have one child too. It can warm up water, milk or formula and maintain the warm temperature so it’s ready for the next feed. It’s not the fastest on this list but it warms up milk in less than five minutes. The dial is easy to understand and can be operated with one hand. Most bottles fit inside and you can heat up jars too. You can wipe both the interior and exterior with cleaning liquids. You can also descale. These activities are only needed now and then, not every day. Warm up two bottles at a time and let the unit keep it warm until feeding time. Why we like it: This is a small unit that works impressively fast. Here’s another bottle warmer that requires accurate measurement of the water before you heat up the bottle. After that you just press the green button. Heating up milk from room temperature can take as short as 90 seconds. If you use frozen items it can take four or five minutes depending on the amount. It’s tedious to measure and pour in water but after that it’s a one touch process. It will turn off when it’s finished but you’ll have to check because there’s no sound signal. It can accommodate most bottle sizes. Simply pour vinegar water inside to rinse it out. A good idea is to let it heat up with this solution inside which loosens the scale. Then you can just pour out the water. You get a basket with your purchase so you can easily insert and lift smaller items such as food jars. Why we like it: This is state of the art technology in the baby room because you can control this via your SmartPhone. Let the unit warm it up so long while you’re still on your way. Set up your bottle so it’s ready to warm up. Now you wait until it’s time and then start the process via your Smartphone. This is thanks to modern technology embedded in this Baby Brezza warmer. Of course you can’t do this hours before a feeding but if you know it’s almost time prepare it so long. Later you can pick up your baby for soothing and kickstart the warmer at the same time. It can heat up 8oz of milk in about 3-4 minutes. Time depends on amount and temperature of the contents. Note that it may overheat if you do one bottle directly after another. Give it time to cool down first for accurate warming. It wirelessly connects (through Bluetooth) and has an app with which you can control it. You’ll see details on the LCD display on the front. It’s easy to clean by just rinsing it out. It’s not overly heavy so it’s easy to carry and turn over to dump excess water. A basket is provided so you can warm jars and smaller items too. Why we like it: You’ll love this model because you don’t have to refill the warmer each time you use it. You can place water inside and it will be used for about a day before filling is necessary. Here’s a larger unit than you may be used to but it’s because it has a handy cooler component attached. 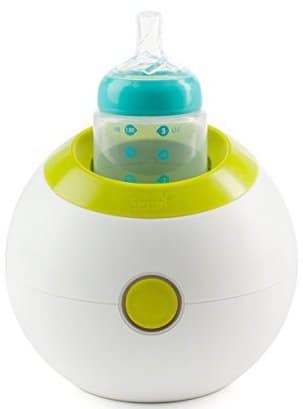 It will keep your bottles cool in your room until feeding time so you don’t have to rush to the kitchen to get one when your baby’s ready to drink. You also spend less time measuring water since it has a reservoir from which it fills the chamber. At the back of the machine you’ll see a table with bottle sizes and types. Find yours and the number it correlates with. Place a bottle inside the warmer. Press the number relating to your bottle type. Pick whether you’re warming it from being frozen or room temperature. Now the machine calculates the time necessary and you’ll see a green check mark when it’s ready. Ice pack keeps the bottles cold so it’s not a refrigerating unit. It can be used for most baby bottles. You can warm up glass or plastic bottles. Note that carrying it when filled with water can be problematic. It may leak water and the cooler tends to detach during carrying. It’s easy to clean by simply using vinegar water for interior parts and giving it a wipe down on the outside. With this unit you use the dial to pick a bottle size instead of trying to guess how long it should be warmed. The machine does that on your behalf. At the back is a cooler unit that keeps two bottles cool with the help of ice packs. Yes this is luxury living but it’s convenience you shouldn’t say no to. You know how grumpy you can get when you have to wait in line at a restaurant. Why put your child through that agony if his or her milk can be ready in minutes? And here’s the truth: If you experienced the effortlessness and speed of these machines once you’ll wonder why you didn’t get one sooner. A bottle warmer makes it easier, safer and frustration free to be a parent especially at those times you need it most such as midnight feedings. Now let’s help you find a good one for your home. Here’s what you need to remember when shopping for baby products: Stay relevant. Modern gadgets meet many of our needs but they’ll only be value for money if they actually suit your personal preferences. Here are the main features you’ll find and now you simply have to pick the ones that relate to your lifestyle. Parents are often tempted to purchase all the gadgets they can find. Some couples end up with three versions of similar products. Yes, they’ll work but it can waste your money. Is there a type that will suit all your requirements instead of having a separate one for each application? 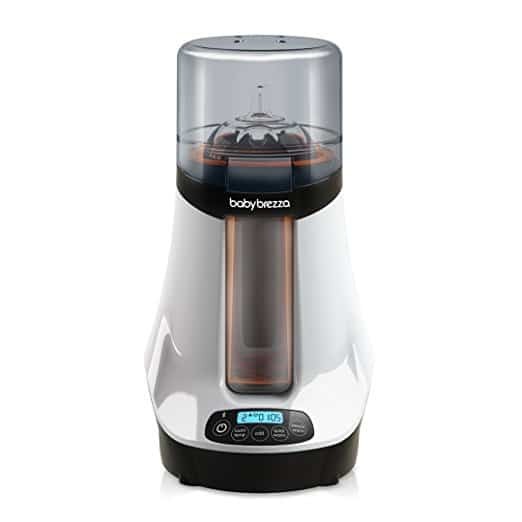 Home bottle warmer:These units usually stand on kitchen counters and they use steam. Obviously you won’t take one on the road as you can’t use it in the car. Hot water home bottle warmer:You don’t use steam but water needs to be heated to a certain degree for it to heat up your bottles. This could take longer and won’t work on the road. Travel bottle warmer:This can draw power from your car or it can use hot water from a thermos you carry with you. 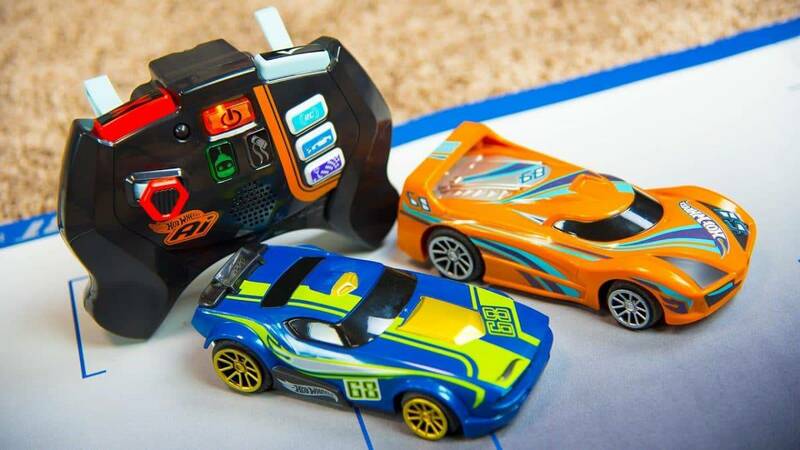 These can work at home or on the road and could be your only purchase if you’re happy with the time it takes. These are essential for people who are often on the road. Bottle size:What bottles can the unit handle? If you use a certain brand of bottles—and remember your child may be particular about which ones he or she prefers—make sure the warmer accommodates it. Timing:Do you want to do certain tasks manually—such as setting the time—or do you prefer automated features? You’ll pay more for high tech gadgets and it’s a waste of money if you’ll never use it. Safety:Does it have auto shut down features? This is essential for those times you get side tracked and may forget about the bottle altogether. Also think about the danger of hot water or steam hurting you or the baby. Is the design safe to use around small children or can they easily make it topple and spill the hot liquid? Energy saving:An auto shut off also helps you save energy. Healthy living:Modern research has shown us that our food intake often doesn’t provide the nutrients we need and cooking methods are part of the problem. If your baby’s milk or food gets too hot the healthy nutrients will be killed off. This is one good reason to invest in a pricier model. My utmost respect to all parents who manage to do everything by themselves and manage without modern technology taking over. Simple living is a great option. If you need to hand over care of your child to someone else it’s easy to teach them to use these bottle warmers. As a bonus you won’t have to worry about whether the person’s manual heating or temperature measurement works. You know your bottle warmer works so you know your baby will be happy. These units are designed to create safe parenting environments. There won’t be any risks of hot water splashing over you or your child which is possible when you use your kettle. Do you really have time to wait for the tap to warm up when the only milk you have is frozen? These emergencies do happen. Perhaps the mother has a problem expressing milk or you simply forgot to buy formula. Limit the time your child needs to wait for a feeding by being prepared with this. Now simply make the decision whether these situations are important enough to warrant a little more tech in your home. Imagine getting up in the middle of the night because your baby is screaming. Do you really want to bother with boiling the kettle, trying to get the milk to an ideal temperature, wiping the sleep from your eyes while your child is crying in your arms and probably in need of a diaper change too? While some activities require your full attention it’s a waste of your time to watch a bottle warm up if a machine can do it for you. Rather calm your baby and let tech take over. This is one of those gadgets you won’t have buyers’ regret about. Remember you’re working with warm water all the time in these units. This creates opportunity for mould to grow. Prepare to clean these containers regularly (weekly or daily) to prevent scale, odors and unhygienic components. Is there enough space on your kitchen counter? Is it small enough that you can place it in the cluttered baby room if necessary? If it must travel with you will the size make it easy to put in your luggage? Having a baby is a wonderful experience but without proper planning the elements of parenting can be overwhelming and something as simple as counter space can be something you yearn for. Some parents tend to pack away valuable and effective tools simply because a kitchen or room becomes too cluttered. What a waste that would be! It’s worth your money to minimize your frustration. Technology can make parenting easier and this is one of those gadgets you should treat yourself to. As many users state, it’s simply better than standing by the tap waiting for water to heat up while a baby screams in the background. Which of these will be in your kitchen from now on?